On 15th January 2014, the Lord Bishop of St Albans received answers to four written questions, on the Forestry and Woodlands Advisory Committee and discretionary housing payments. The Lord Bishop of St Albans: To ask Her Majesty’s Government whether they are taking steps to ensure that the collective knowledge and experience of Regional Advisory Committee staff is being retained within the new Forestry and Woodlands Advisory Committees. The Lord Bishop of St Albans: To ask Her Majesty’s Government whether they anticipate that the new Forestry and Woodlands Advisory Committees will have a role in extending and improving community involvement in woodlands; and, if so, how. Lord De Mauley: Around 40% of the current Forestry and Woodlands Advisory Committee membership previously served on the Regional Advisory Committees. Each Committee has a minimum of four members with previous experience. Forestry and Woodlands Advisory Committees will have a role in extending and improving community involvement in woodlands where this aligns with their core remit. This includes advocating and championing woodlands partnership working at local level. 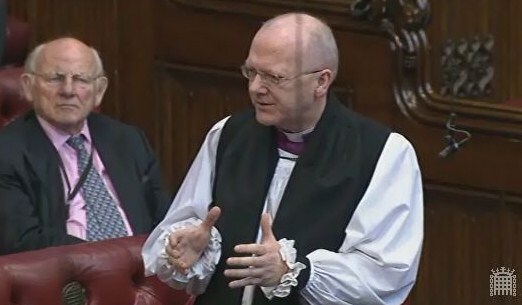 The Lord Bishop of St Albans: To ask Her Majesty’s Government whether they will consider extending discretionary housing payments to the rural areas with the smallest numbers of one bedroom properties, in addition to the areas already covered. Lord Freud: Following the Autumn Statement it was agreed that the additional £5 million funding for the most rural/remote areas would be maintained in 2014/15. The Department is currently consulting Local Authority Associations and will provide details of individual allocations by early February. The Lord Bishop of St Albans: To ask Her Majesty’s Government when they will report on the use of discretionary housing payments in the 21 least densely populated rural districts of the United Kingdom, as announced by the Department for Work and Pensions on 30 July 2013. In 2013 the government contribution to Discretionary Housing Payments was increased to £180 million. As part of this, local authorities are able to bid for funding from a £20 million reserve fund. The scheme is open to bids until 3 February 2014.